While the importance of major search engines when it comes to the future of content marketing has been debated for quite some time now, the Future of Search and Content Marketing talk lead by Jeff MacGurn reached some interesting conclusions. It has been claimed that search engines such as Yahoo no longer have a place in the future of search. Actually, while the usage and popularity of Google is growing by the day, there is no wonder that reports indicate that Yahoo is no longer an influential search provider. Still, it seems that Yahoo might be focusing on changing that soon. Either way, in the past few months all search engines, including the popular Google, Bing and Yahoo, have been considered to become less important in content marketing. 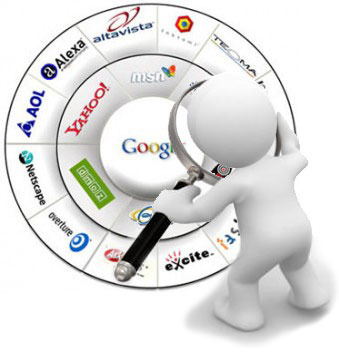 This is because numerous users have turned to other sources of finding the results they searched for. It has been claimed that users most likely access Facebook, Amazon and Yelp, among many others, to look for what they want. People perform a search with the desire to find some particular results. Forrester Research data revealed that the number of people who use social media to find certain websites has actually increased with no less than 7 percent. Naturally, most of this growth was registered on Facebook. However, the Future of Search and Content Marketing talk led by Jeff MacGurn reached to the conclusion that search engines are still influential in content marketing. At this talk it was debated the fact that an important point for content marketing will be providing users the information they search for, depending on the channel they use. For instance, MacGurn claimed that people who look up pharmacies or restaurants on their mobile devices are not looking for “about us” information. They are probably looking for contact info. From this point of view, it might become important to create the content and search results that matter for a particular type of device. MacGrun also claimed that the focus right now should be on creating the best content possible, to provide users the information they need. Now, context is king, meaning that to create desirable content, you need context, which is the story.